As if those available in stores are not exclusive enough, these most expensive Rolex watches were sold for staggering prices! When you hear the word Rolex, what comes to your mind? Probably one of these: expensive, luxurious, stylish, collectible, and exclusive. These fifteen expensive Rolex watches you are about to see are all about those words. Since Hans Wildorf and Alfred Davis founded the company in 1905, this luxury watch brand has been nothing but skyrocketing. Known as the jewel of Swiss watch, most people don’t know that the company was initially settled in London before it was moved to Geneva in 1919. Rolex has been the official timekeeper and sponsor for many world-class sports including Tennis Grand Slam Wimbledon and the world’s most expensive sport, Formula 1. This brand even sponsored some of the athletes, such as Roger Federer. We start our list of with Rajendra Prasad’s Gold Rolex. We already hit almost a half of a million dollar and we are just getting started! Rajendra Prasad was the first president of India. This Rolex watch belonged to him. He received it during the India’s first ever Republic Day in 1950. The watch is made of 18K gold. And what makes it so special is the map of India on its dial. The date inscribed, 26 January 1950, makes it even more authentic. 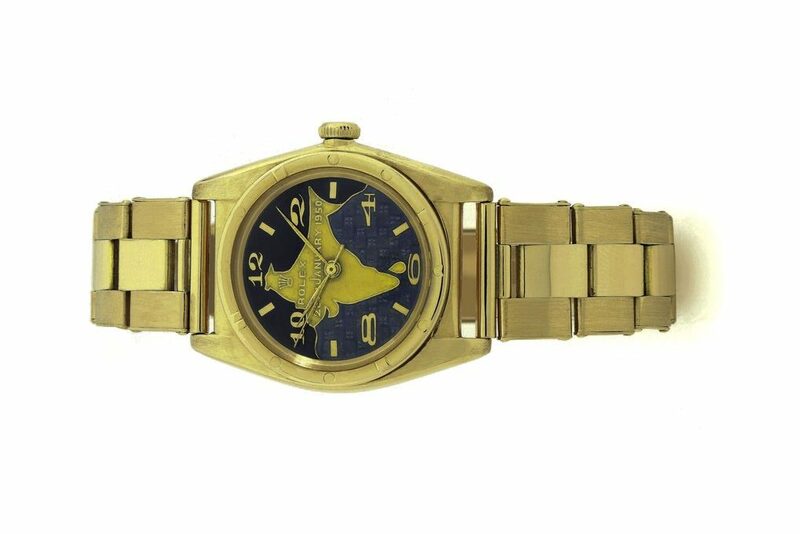 With such features, this watch caught a buyer’s attention at Sotheby’s auction and bought it for $400,000. The Prasad family, through Indian government, attempted to intervene the auction by stating that the property was stolen from the Pratna museum.